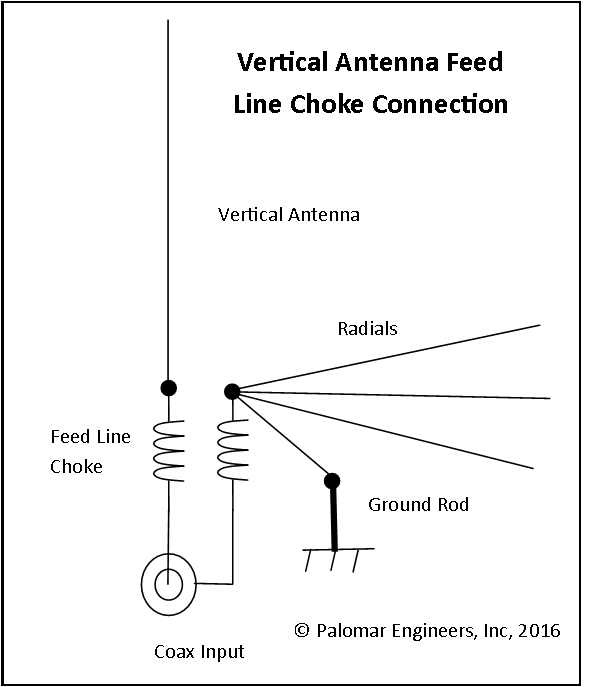 Th CUV-1-1500ST unun is a common mode feed line choke for vertical antennas with radials that need to be isolated from the coaxial feed line to keep common mode current from using the coaxial braid as another radial. 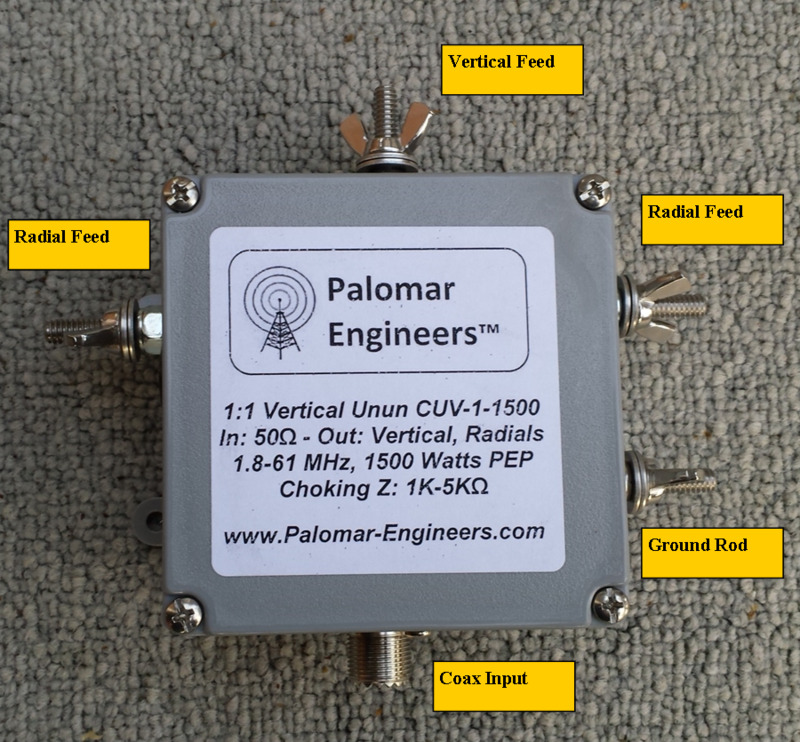 Very effective with high choking of 1K-5K from 1.8-61 MHz and also incorporates two side studs/wingnut terminals for radial or ground connection at the antenna while isolating the coax feed line braid from the radials via the internal c0mmon mode feed line choke. Top terminal with stud/wingnut for vertical connection enclosed in a 4″ x 4″ x 2″ box..